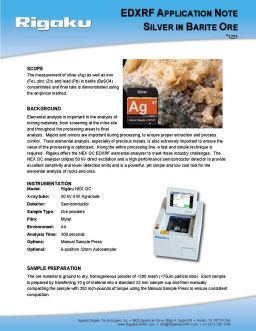 EDXRF | XRF for Mining & Refining - Applied Rigaku Technologies, Inc. 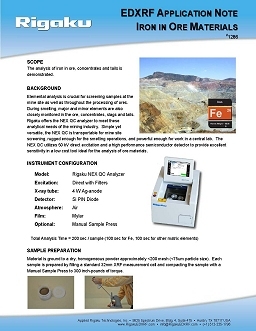 Whether the determination entails measurement of ores, feed, slags, or tailings in the mining process, X-ray Fluorescence (XRF) spectroscopy is one of the most commonly employed technique for these routine determinations of metal bearing minerals as well as metals and their oxides. 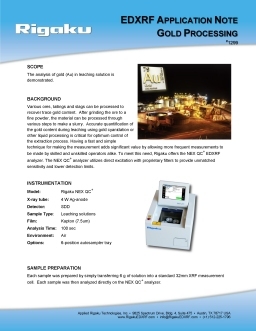 The Rigaku NEX CG energy dispersive X-ray fluorescence (EDXRF) spectrometer is powered by a new qualitative and quantitative analytical software, RPF-SQX, that features Rigaku Profile Fitting (RPF) technology. 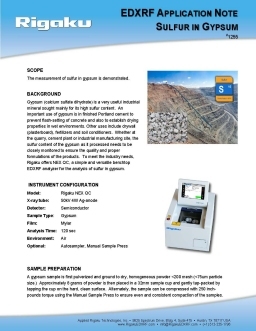 The software allows semi-quantitative analysis of almost all sample types without standards - and rigorous quantitative analysis with a few standards. 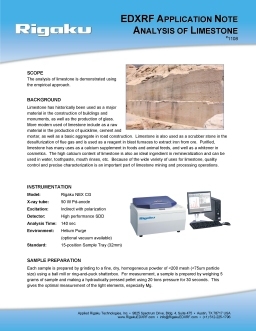 Featuring Rigaku's famous Scatter FP method, this XRF software can automatically estimate the concentration of unobserved low atomic number elements (H to F) and provide appropriate corrections. 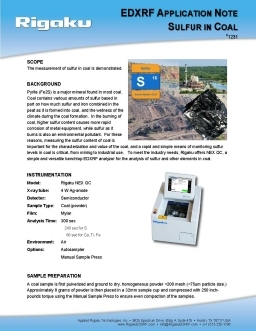 RPF-SQX greatly reduces the number of required standards, for a given level of calibration fit, as compared to conventional EDXRF / XRF analytical software. 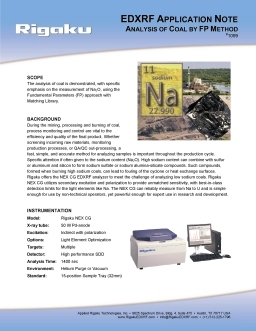 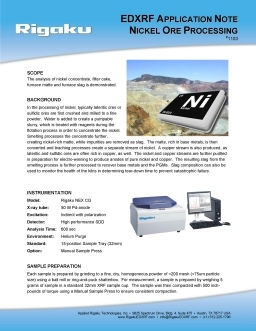 As standards are expensive, and can be difficult to obtain for newly developed materials, the utility of having a NEX CG spectrometer can significantly lower costs and reduce workload requirements for routine elemental analysis needs.